Still not eating or sleeping. 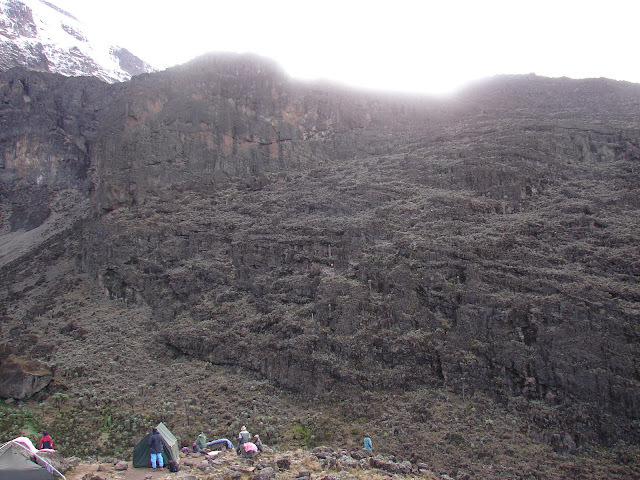 Today we climb Barranco Wall, almost 1200 feet straight up. 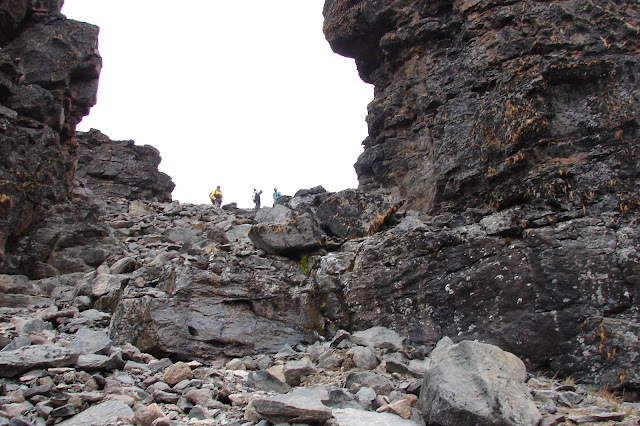 At one spot, the "kissing point", the ledge is only 8 inches wide and if you are not "kissing" the wall you might fall off. 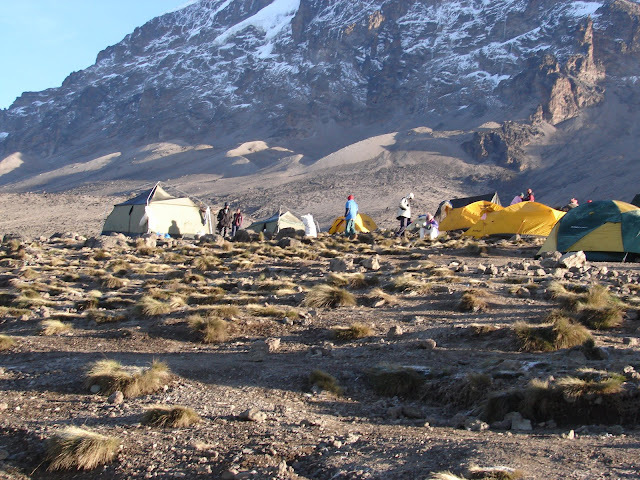 Camp will be at 4200 meters. A large group who paid more than $6000 each are at camp. The brought banquet tables, doctors and oxygen. "Its not your aptitude, but your attitude that determines your altitude."